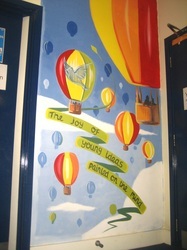 Mural designed and painted with the children of Fairfield Primary, inspired by their class names- John Cabot, Hannah More and Brunel. 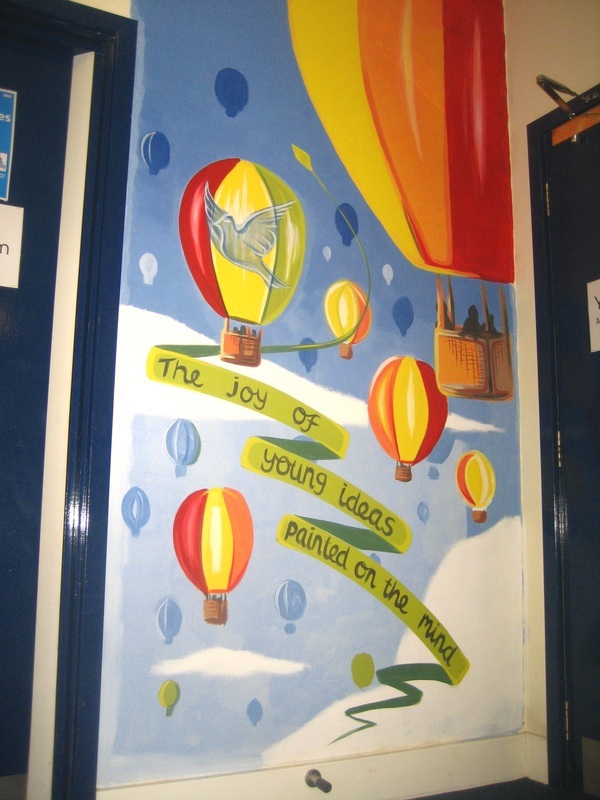 'The joy of young ideas painted on the mind'. 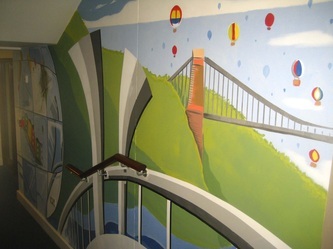 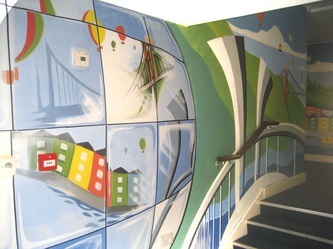 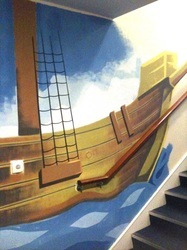 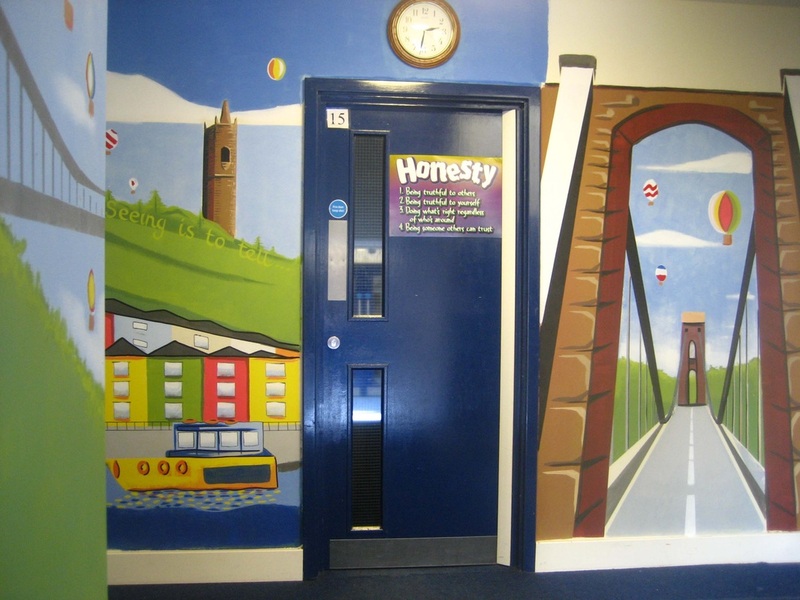 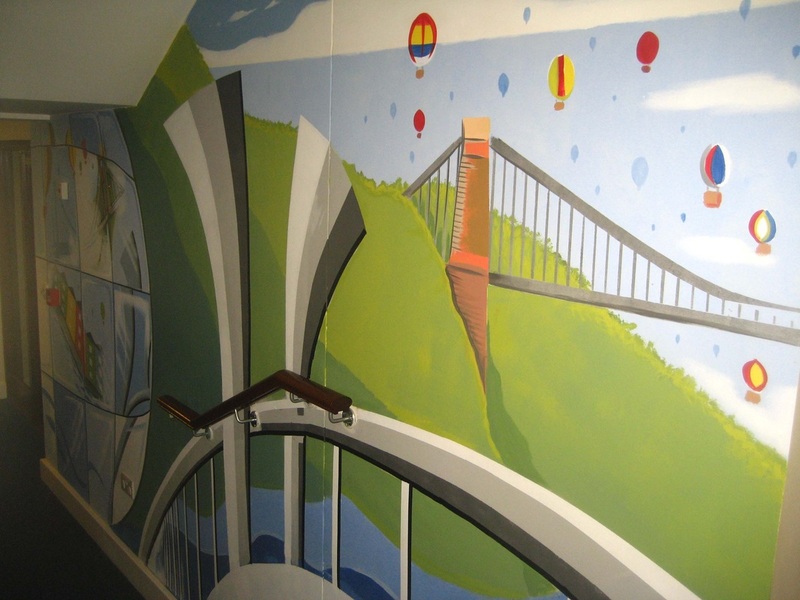 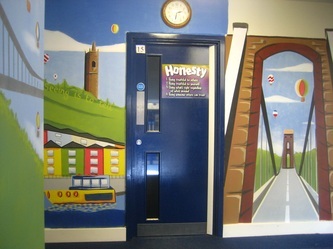 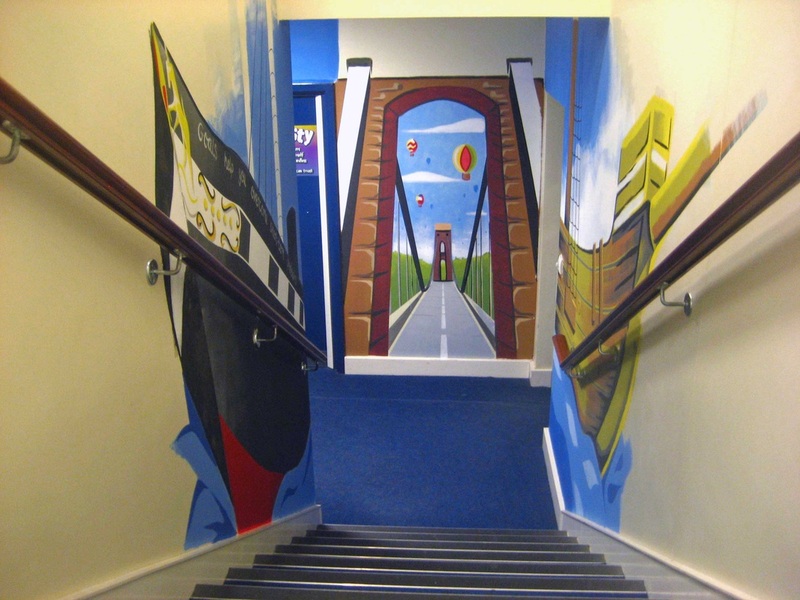 The mural features familiar landmarks from Bristol and the children did a fantastic job painting along the corridors and up and down stairs over the 5 days.